Some of you may know that my husband and I both attended the Ringling College of Art and Design for our undergraduate degrees. What you may not know is that he and I didn’t begin dating until almost a decade after we graduated. (Not quiiiiite a decade, but close enough for the dramatic retelling of this tale.) By the time we decided to elevate our friendship to something more, he was already living in Dallas Texas, while I was still in Sarasota, Florida. Some long distance dating ensued, until I decided to risk everything for love and leave my tropical oasis for urban Dallas and whatever life the two of us might be able to built there together. Before I left, he promised me that we would come back to Florida “as soon as possible” so that we both might enjoy the best of what this state has to offer together. Texas was good to us. I built my business and he built his, and we made friends and memories to last a lifetime. But it wasn’t Florida. Last month, he finally fulfilled his promise from long ago and we relocated back to the Sunshine State. I’m in a gorgeous little gem just north of Orlando, near enough to Ocala and within easy driving distance of Wellington. 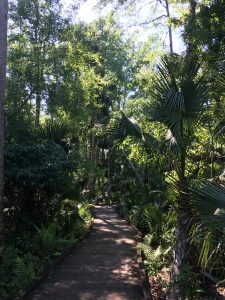 We are less than an hour from the water, and our backyard is a true “le jardin sauvage”, full of great rustling palm trees, overflowing bougainvillea, majestic live oaks dripping with spanish moss, and all manner of green living things and the myriad creatures that flourish in such jungle spaces. It’s heaven, you guys. Truly magical. I’m in the process of getting my studio set up again and devoting a solid 6-7 hours every day to painting, drawing, learning, and growing my business. Look for new work coming soon, along with a brighter palette and perhaps some wildlife mixed in. 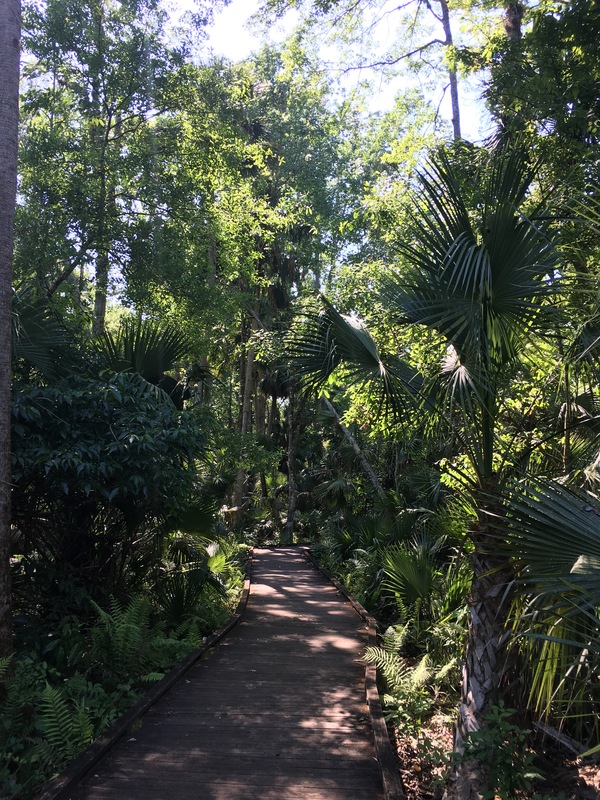 Florida is where I truly learned to be inspired by the natural world, and every view out my window reinforces the idea of lush color, savage and beautiful nature, and the pure energy that comes from living close to the land. I’m excited to see what the future holds, and I hope that you will continue with me on this (sun dappled and fern bordered) path. And fear not, Frankie gets his Florida retirement as well! He will be arriving shortly, just in time for spring break. I can’t wait to experience wild Florida from horseback! « “The Vernal Equinox” inaugural juried art show in my home state!